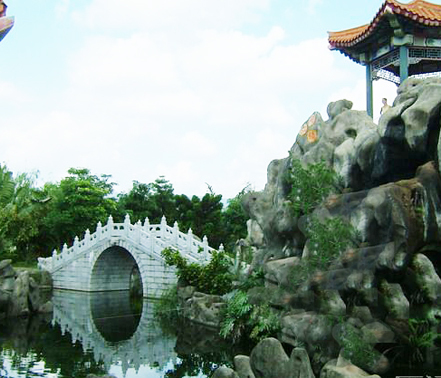 Xiamen is full of city parks that are reachable on foot from CBD areas. These parks, many of them nestled either among residential areas or some next to shopping areas. 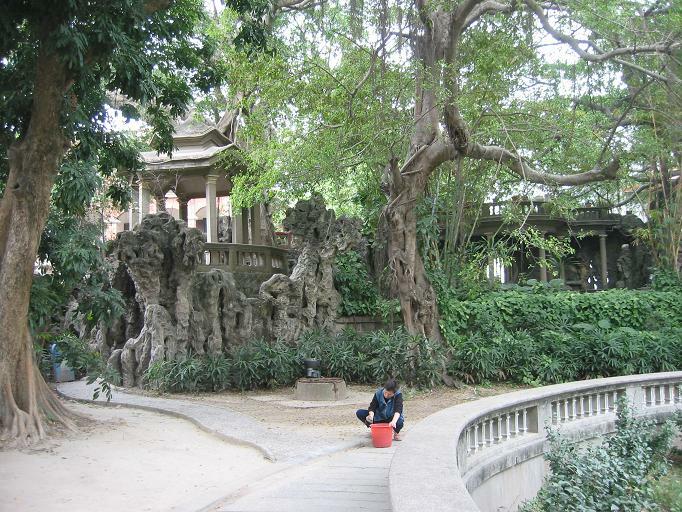 These parks make Xiamen very leisure and livable. Xiamen has picturesque scenery everywhere. 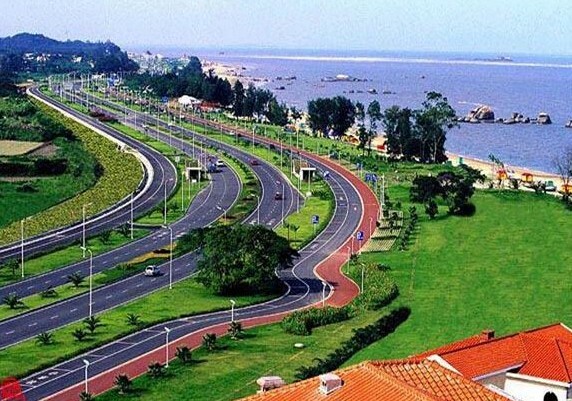 Yundang Lake and many parks in the city proper, Sightseeing Avenue on the Round-the-Island Road which is of the customs of South Asia, each adds beauty to Xiamen and attracts tourists. At night when Xiamen is decorated by LED, the city is more charming. 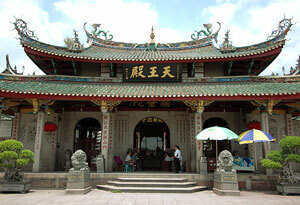 Located in urban area of Xiamen, Yundang Lake was originally linked with the sea. 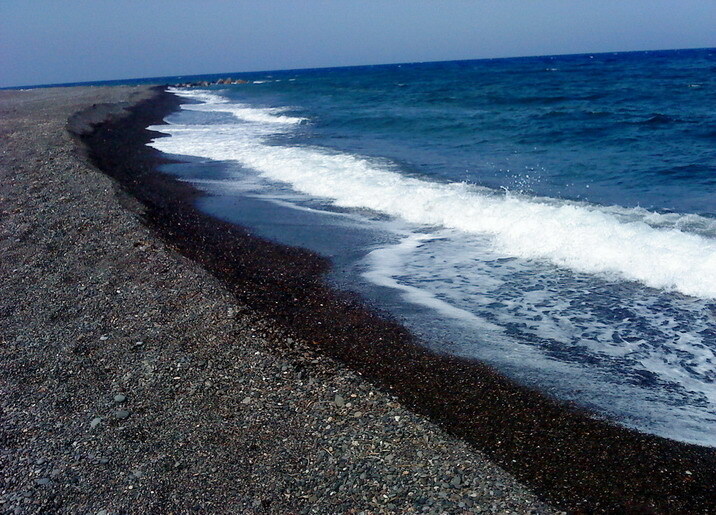 Later a long dyke was built to reclaim land from the sea, resulting in the formation of an in- land lake, with a water surface of 1.7 square kilometers. In the center of the lake are Egret Islet, fresh flowers, green trees and grasses, zigzag paths and fashionable buildings, present- ing modern metropolis atmosphere. In history, it used to be a natural harbor. At nightfall, the lamps on fishing boats were sparkling, form- ing a wonderful scenic sight of "Fish- ing Boat Lights on Yundang Lake." 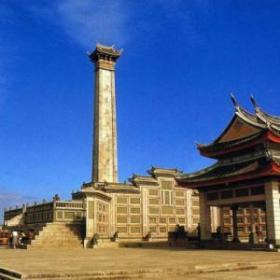 Now the "night scene of Yundang" takes Egret Islet as the mainstay, the People's Hall as the center, the cul- tural relics and antiques as the his- torical and cultural connotations, the tall buildings on both banks as the background, and Xianyue Mountain as the protective screen while inte- grating various functions, such as sightseeing, leisure, recreation, health- building activities, shopping and ca- tering trade. In the daytime, egrets fly on the water surface, and at night when street lamps are lit, beautiful re- flections appear on the lake. As a tableland in Yundang Lake with an area of 100,000 square meters, the Egret Islet Park is an ur- ban park focusing on leisure, recre- ation and shopping. In the park stands a statue of Egret Goddess, who is the symbol of Egret Islet and one of the best sculptures in Xiamen. The park raises 400 pigeons imported from the Netherlands, flying up and down to tease tourists all the time. The music fountain is also attractive for visitors. As a shopping and recreational cen- ter and a calligraphy and painting art center, the park consists of the Paint- ing and Calligraphy Academy, the Art Gallery, the Calligraphy and Painting Corridor, shops selling crystal gifts and wood carvings, as well as the Bail- ing Pet and Potted Landscape World, with a wide variety of commodities. In addition, the bowling alley, the Seafood Delicacy City, the football club, nightclubs and other recre- ational centers can all be found here. Transport: It can be reached by bus Nos. 8, 12, 15, 31, 86, 87, 506 and 812. 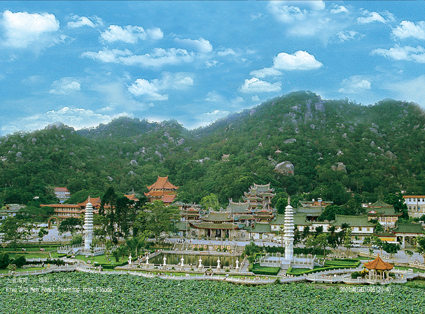 Situated on the western seashore in the center of Xiamen City, the Gulf Park is a large comprehensive park integrating tourism, leisure and recreation, and consists of seven large scenic zones, i.e., Heaven Garden, Earth Garden, Forest Garden, Grass Garden, Water Flower Garden, Sea- side Scenery and Star Boulevard. With the Star Boulevard as the line of demarcation, it is divided into North Park and South Park. The Star Boule- vard is the highlight of the Gulf Park, 300 meters long and 40 meters wide, decorated with 2,076 LED brick lamps, which are of various changes under the control of computers. At important festivals, all the lamps on the Star Boulevard are lit and the foun- tain keeps spurting water into the air. Usually, the fountain spurts water from 09:00 to 11:00 and from 15:00 to 17:00 in the daytime. From 19:00 to 21:00 in the evening, the lamps are also lit and the fountains spurts water simultaneously. Situated at the top of Fox Tail Hill, the meteorological park is the only such park in China and among a few such parks in the world. 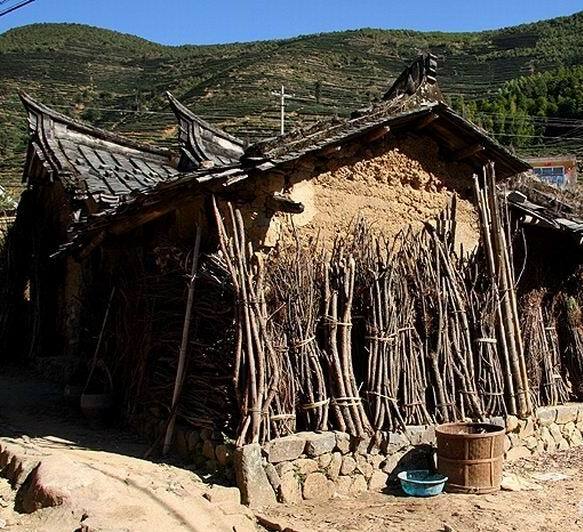 It integrates science, tourism and recreation, tak- ing meteorology as the theme. The construction of the park focuses on appreciation and mutual interaction. Besides the existing astronomical and meteorological hall, the related expe- rience projects will be constructed, such as the observatory at the hilltop with observation tools, which will be the activity center for astronomy lovers; the simulated starry sky and typhoon hall to represent some natu- ral phenomena and wonders-- typhoons, tornados, sand storms, ice and snow; as well as the exhibition hall of meteorological celebrities and popular science works. Located at 3 Dongfeng Road, the Sun Yat-sen Park was open to the public in 1931 to commemorate the spirit advocated by Dr. Sun Yat-sen: "Taking the whole country as one community," hence the name. The park links the Knotweed Flower Stream in the east, the Kuixing River in the west and the Lotus Nunnery in the north, with a total area of 138,000 square meters. It is a comprehensive cultural park integrating leisure, exhibition, popular science and recreation. 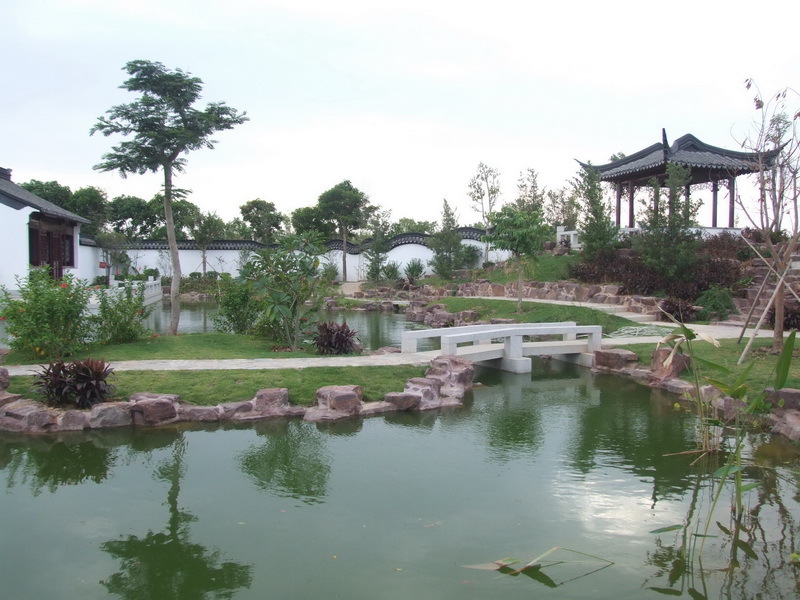 The park contains zoo, children's amusement ground, Flower Exhibition Hall, and Yiqu Garden, etc. Transport: It can be reached by bus Nos. 8, 12, 21, 27, 35, 517, 618 and 812. Located in the middle section of South Siming Road, the park is sur- rounded by the city on three sides, and backs on to a hill, with a total area of 174,000 square meters. 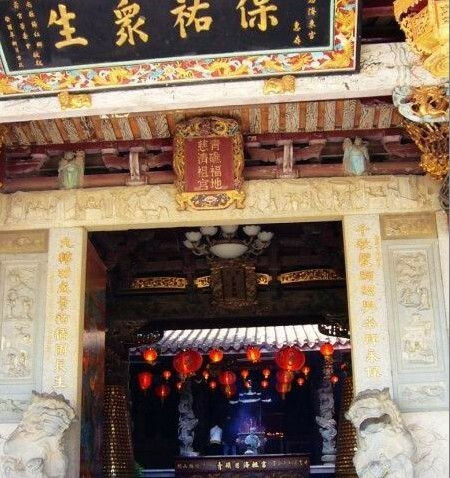 The park em- braces a number of tourist attractions, such as the Hongshan Temple, the ru- ins of Jiaxing Village, the Jiaxing Garden, the Prince Yanping Garden, and the Stone Spring and Flower Liquid. The highest in the park is 125 meters above sea level, being the best spot to overlook the city. In the windy and rainy days, the wind spirals in the mountain and falling raindrops are in- terwoven with each other, forming a special scenic sight "Woven Rain in Hongshan Mountain," which is one of the 20 famous scenic sights in Xiamen. Transport: It can be reached by bus Nos. 1, 2, 15, 21, 22, 45 and 811. Situated in the city proper of Xiamen, the Jinbang Park has an area of 910,000 square meters, which is the largest comprehensive cultural park in Xiamen. The Jinbang Park is composed of four scenic zones " Seaside Culture Center," "Clusters of Rocks in Dense Fog," "Floating Aroma of the Green Valley," and "An- cient Paths under Green Trees." 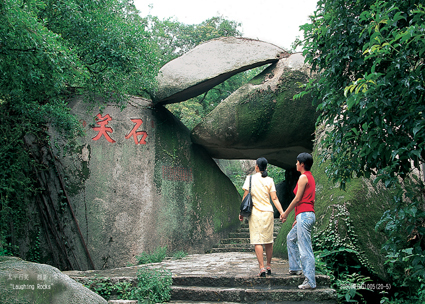 The park includes many historical sites, beautiful natural scenery, green trees and oddly shaped rocks, in addition to lots of cultural sites from the Tang Dynasty to the Qing Dynasty. Transport: It can be reached by bus Nos. 1, 3, 4, 18, 19, 21, 26 and 518.